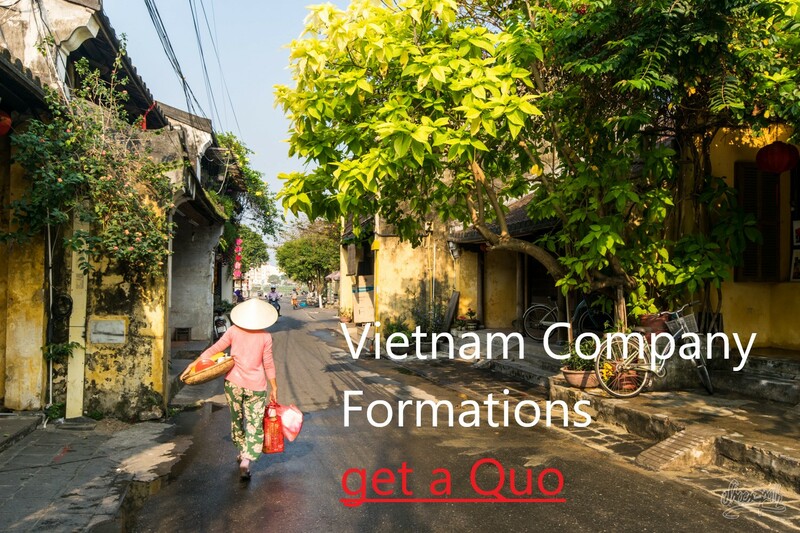 Explain which type of structure is suitable for a start up company in vietnam: Vietnam offers some choices for setting up a business in the country. The principal types of business license are: business cooperation; joint venture; company with 100% foreign owned capital; branch of an overseas company; and representative office of an overseas company. These come into effect on 1 July 2015 and may lead to changes to certain of the issues dealt with below. # Public – Private Partnership (“PPP”) projects. A joint-stock company, a partnership, a branch, a business cooperation contract or a representative office. Foreign investors may also buy an interest in an existing domestic enterprise, subject in some cases to ownership limitations which vary depending on the industry sector. The choice of investment vehicle will depend on factors such as the number of investors, industry, and size of the project and whether there is any intention to list. A limited-liability company is a legal entity established by its members through capital contributions to the company. The capital contribution of each member is treated as equity (charter capital). 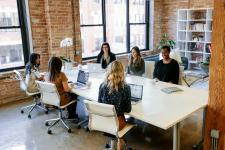 The members of a limited-liability company are liable for the financial obligations of the limited-liability company to the extent of their capital contributions. The management structure of a limited-liability company would normally consist of the members’ council, the chairman of the members’ council, the general director and a controller (or board of supervisors where the limited-liability company has more than 11 members). (Where all members are foreign investors); or A foreign-invested joint-venture enterprise between foreign investors and at least one domestic investor. # A joint-stock company is a limited liability legal entity established through a subscription for shares in the company. # Under Vietnamese law, this is the only type of company that can issue shares. The charter capital of a joint-stock company is divided into shares and each founding shareholder holds shares corresponding to the amount of capital the shareholder has contributed to the company. # A joint-stock company is required to have at least three shareholders. There is no limit on the maximum number of shareholders in such companies. # The governance of a joint-stock Company includes a general Meeting of shareholders, the board of Management, the chairman of the board Of management, the general director And a board of supervisors (where the Joint stock company has more than 11 individual shareholders, or if a corporate shareholder holds more than 50% of the shares of the joint-stock company). # A joint-stock company may either be 100% foreign-owned or may take the form of a joint venture between both foreign and domestic investors. A partnership may be established between two individual general partners. The general partner has unlimited liability for the operations of the partnership. This is not a common form of foreign direct investment and is only permitted in a few sectors. 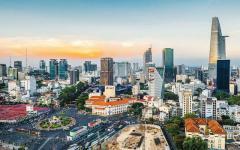 Branches of foreign companies are different from representative offices in that a branch is permitted to conduct commercial activities in Vietnam. 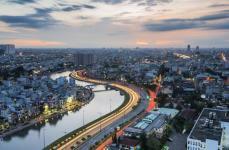 Foreign companies with business relations or investment projects in Vietnam may apply to open representative offices in Vietnam. A representative office is not an independent legal entity and may not conduct direct commercial or revenue-generating activities (i.e., the execution of contracts, receipt of funds, sale or purchase of goods, or provision of services). 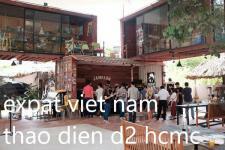 Act on behalf of its head office to supervise and direct the implementation of projects in Vietnam. Their head offices overseas. 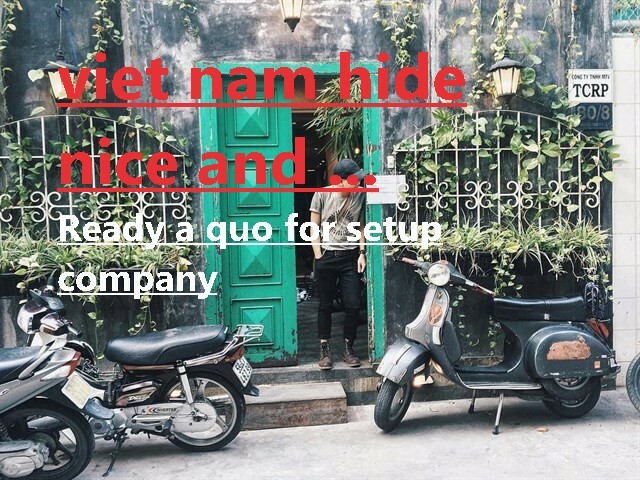 This is a very common form of presence in Vietnam for foreign companies, particularly those in the first stage of a market entry strategy. # A BCC is a cooperation agreement between foreign investors and at least one Vietnamese partner in order to carry out specific business activities. # This form of investment does not constitute the creation of a new legal entity. The investors in a BCC generally Share the revenues and/or products arising from a BCC and have unlimited liability for the debts of the BCC. A Public and Private Partnership (‘PPP’) contract is an investment form carried out based on a contract between the government authorities and project companies for infrastructure projects and public services. Transfer (‘BOT’), Build-Transfer (‘BT’), Build-Transfer-Operate (‘BTO’), Build-Own-Operate (‘BOO’), Build-Transfer-Lease (‘BTL’), Build -Lease-Transfer (‘BLT’) and Operate-Manage (O&M) Contracts. Other sectors according to the Prime Minister’s decisions. In order to set up a limited liability Company, a joint stock company, a partnership or enter into a business cooperation contract with one or more Vietnamese partners, the foreign investors must obtain an investment registration certificate from the licensing authorities, which may be either (i) the provincial people’s committee (for projects located outside of industrial zones, export processing zones, high- tech zones and economic zones), or (ii) the provincial industrial zone management authority or economic zone management authority (for projects located in industrial zones, export processing zones, high-tech zones and economic zones). After the issuance of the investment registration certificate, the foreign investors must conduct procedures with the licensing authorities to obtain a business registration certificate. Under the regulations, the licensing process should take around 18 working days. In practice it usually takes longer. Investment in “conditional” sector activities is subject to the more cumbersome appraisal (as opposed to registration) procedures. These require, inter alia, the license application to be reviewed also at the central government ministry level in Hanoi. Approval for the establishment of a representative office of a foreign Company is granted in the form of a license issued by the provincial people’s committee. Procedures for setting up a representative office are quite simple in comparison with those for a company and it normally takes 2 - 4 weeks to obtain a representative office license from the date of submission of a complete application dossier. Corporations can be directly encouraged to increase their output. prices, due to a lack of competition and the knowledge that they cannot go bankrupt. member level, not at the LLC level (i.e., no double taxation). 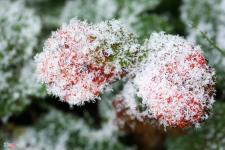 liability for acts and debts of the LLC. partnership, S-corp or corporation, providing much flexibility. which may be an entity itself. (5) No requirement of an annual general meeting for shareholders. provide for centralization of management power in a board or similar body). (8)Much less administrative paperwork and recordkeeping. title to the membership interest (e.g., see Virginia and Delaware LLC Acts). (1)Earnings of most members of an LLC are generally subject to self-employment tax. and are not subject to self-employment taxes. the LLC will terminate for federal tax purposes. company may lose its ability to use the cash method of accounting. incentive stock options, engage in tax-free reorganizations, or issue Section 1244 stock. operate in more than one state may not receive consistent treatment. the business is not permitted to elect partnership classification for federal tax purposes. The business files Schedule C as a sole proprietor unless it elects to file as a corporation. (7)Some states do not tax partnerships but do tax limited liability companies. only be 15% compared to 25% to 40% for a closely-held corporation. tax recognition on appreciated assets. her shares (certificates of ownership). company's debts to the value of the money they invested in the company). can borrow from banks to a large extent and also issue debentures to public. the value of shares held by them. (3) Perpetual Existence : Due to its separate legal existence, it has perpetual existence. society as well as to the nation. (4) Transferability of Shares : The shares if a public company are freely transferable. people to invest. It also helps a company in tapping more resources. attracts many investors. It enables companies to take up new ventures. (6) Efficient Management : In company ownership is separate from management. quality goods at lower cost to the consumers. based upon democratic principles. This prevents in mismanagement of a company. enough faith in it. So, it can get loan from different financial institutions. goods. Government gets income in the form of taxes. time. It is both expensive and risky. Sheet are required to be published. So trade secrets cannot be maintained. Meetings. So many opportunities may be lost due to delay in decision making. of vast majority of shareholders. of the shares they declare dividendsat a higher rate. interest of the shareholders in general. wasted in complying with statutoryrequirements. employees, the creditors and the government may have their own individual interests. Thus, a permanent type of conflict of interests may continue to exist in the companies. against oppression of minority, but the measures are not very effective. - Proprietorship have unlimited responsibility for all losses and debts. (1)The company’s owner has all control of company operating activities. (2)They have simple structure and aren’t complicated than corporations. (3)They are trustworthy for their partners because of unlimited responsibility. liabilities of a business venture. day-to-day operations of the venture. 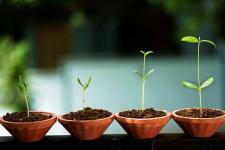 put into the business, which will allow better flexibility and more potential for growth. It also means more potential profit, which will be equally shared between the partners. business. This will allow them to make the most of their abilities. ideas and for the solving of problems that the business encounters. the directors must bow to the will of the members (shareholders). companies, while still taking advantage of the flexibility of the partnership model. management of the business, but still reaping the rewards. *** Examples of each group will be presented in the speech. For PPP projects, foreign investors must sign PPP contracts with an authorised State body, and then establish a project company in the form of a limited liability company or a joint stock company. 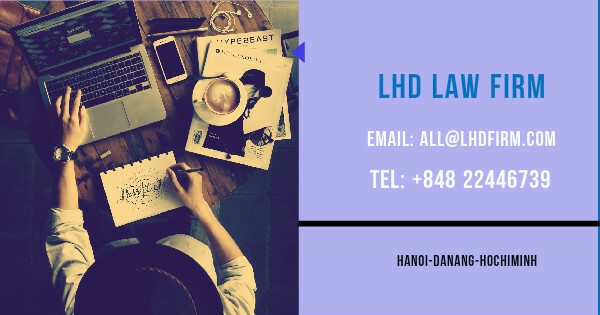 According to the rankings of Legal500 and Hg.org, LHD Law Firm is one of the 10 leading legal services in Vietnam for our consultancy of establishing a foreign-owned capital business in our country. With 10-years experience in the field and the office system throughout the country: Ho Chi Minh City, Hanoi, Da Nang, Vung Tau, etc., LHD Law Firm takes pride in our commitment to satisfy our clients as foreign investors in Vietnam.